Founded in 1992, Kilter Termite and Pest Control has earned the trust of countless homeowners in Manhattan Beach, California, and beyond. By providing rodent control services that are tailored to our customers’ needs, we are able to achieve the best possible results for their homes. As evidence of our commitment to our customers, we have earned a place on Pest Control Technology’s list of the top pest control companies in the nation. What Sets Kilter Apart from Other Rodent Control Companies? At Kilter, our services are designed to be as efficient and effective as possible. We understand how stressful a rodent infestation can be. So, when you contact us, we’ll make it as easy as possible for you to get a complete assessment of your home and a custom treatment plan by having one of our trained and experienced technicians perform a free inspection. If you decide to use our services, we’ll seal all entry points and use advanced rodent control products, such as RO-DEX, to eliminate your infestation. 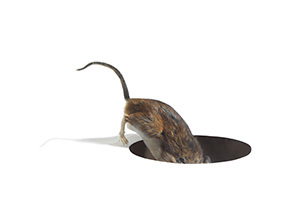 We’ll then return to your home at regular intervals to rebait traps and remove rodents. Throughout this process, we’ll also help restore sanitary conditions to your home. We can even install TAP Pest Control insulation to add an additional barrier against future infestations. And, once we are sure all rodents have been removed from your home, we’ll provide a two-year warranty for your peace of mind. Learn more about the rodent control services that we offer and schedule a free inspection at your home in Manhattan Beach, CA, by contacting Kilter Termite and Pest Control today.